EB has taken on projects of re-building walls, building porches, flat to pitch roof construction, lower ceilings, removing internal walls to create an open plan feel. 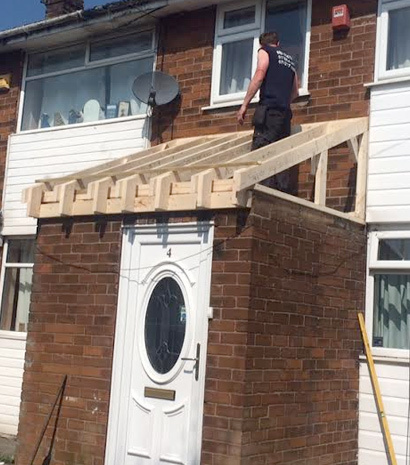 EB has recently finished a disabled access garden allowing our client to enjoy there garden with the help of widening doorways, building ramps for access with a wheel chair. We also can build spiral stair cases, revamping bathrooms to installing new kitchens EB can carry out all aspects of general construction to a very high standard and ensure customer satisfaction before finishing a job. 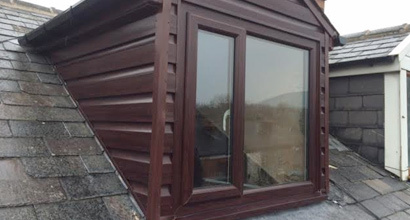 Installation of roof windows to your property can transform your living space. Natural light flooding into a kitchen or bedroom is a must where possible. Making rooms feel more roomy and cozy and not a massive cost! EB roofing has trained operatives to install roof windows, and can advise you on brands of window to suit your needs. A roof window could be an excellent addition to your home or business. We used EB Roofing in late 2011 to redevelop an old garage forecourt site into a carwash. This involved installing new drainage, a new wash-pad area as well as considerable work to improve the security of the buildings and construction of a new chemical storage area. They have since been back in 2014 to repair the front wall following some accidental damage. All the work was completed quickly and at an attractive price. We also had some improvement work carried out to an adjacent house we own and this was done promptly and well, too. 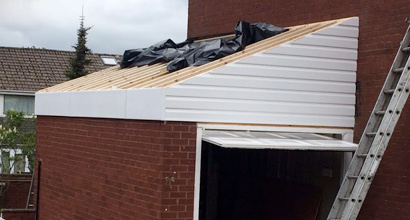 When this was rented out EB Roofing arrived promptly on a callout basis when required. 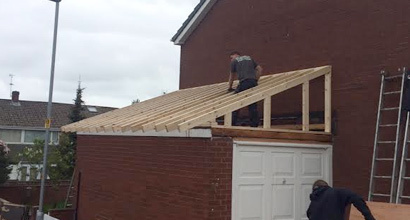 We would recommend EB Roofing to anyone requiring such building work to be carried out.